In the last few days we have been dealing with the impact of mentoring on our relationships. In the most recent past, I dealt with certain qualities or qualifications of a good love mentor. I intend to complete what I started today. The following are additional non negotiable qualities that I require from any individual before submitting my love life to their mentorship. CONFIDENTIALITY: A good mentor must be able to keep a secret. The fact is that some of the issues you require help for,from your mentor are likely to be personally juicy and gossip worthy. A real mentor must be disciplined enough not to gossip about the issues of their protege. A protege’s trust in their mentor can be lost, should the personal information shared become public knowledge. This can make the protege shut down completely and there is no such thing as mentoring someone with a closed heart. CREDIBILITY: The mentor to be followed must have a proven track record of results. Knowledge may qualify you to speak but only your results qualify you to be heard. A person struggling with their marriage,might have little to teach you about how to make your love last. Once I met a relationship expert who had been in four marriages as at that time, she was no longer in a marriage but she was cohabiting with someone else’s lover. Is she an expert because of how many times she has been married? I am convinced that if she was indeed an expert she won’t have needed the second marriage. Such individuals lack the credibility to call themselves love mentors. AVAILABILITY: Many confuse a hero with a mentor. A mentor is someone you can approach,who is available for you, to deal with the matters arising in your relationship. Such a person will be available online or in person to answer the questions you have,as the need arises in your relationship. Such a person might not be popular, but they are likely to be personal. Having said all of the above, it is important for the protege not abuse or take the mentor for granted or the mentoring relationship will be over. 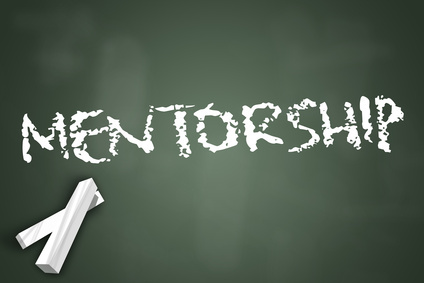 Our mentors must be treated with love,honor and respect for the relationship to work. Have you decided who your love mentor will be? Let us hear about your decision.